QuadcopterFlyers.com is excited to bring you all a great competition with a Giveaway. 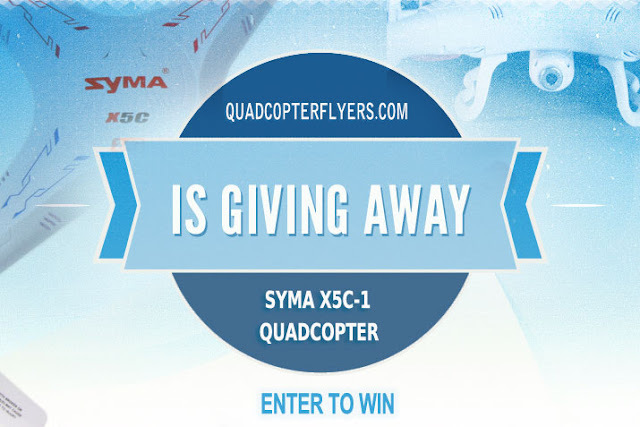 With a Wonderful Thank you, we are giving away the most famous Quadcopter as of today, the Syma X5C-1.Its a wonderful opportunity to win the most stable flying Quadcopter from brand Syma and kick start your flying Hobby, Read on, how to enter the contest. You get to Win Syma X5C-1 Upgraded version quadcopter, if you are the lucky winner. 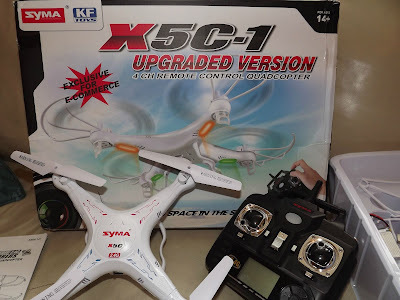 Some thing about X5C-1, Manufactured by Brand Syma, its one of the most hot selling RC Quad copter for just under $56 , your mother Could Fly it, says Quadcopter 101, learn more about Syma X5C-1 here. Comment on "What is the feature that you like most about the Syma X5C-1 Quadcopter"
Any one can enter the contest, who reads this! I like Syma x5c-1 is due to drones is very easy to use by a novice. feature I like is the stability of this because drones have four-axis structure and a built-in 6 axis gyroscope. I would LOVE to win this for my stepson. I just bought the X8W for me and I think he would love to fly too with me.So that being said I love the fact you can fly multiple ones at the same time. I like the contolability of the X5C- 1. The feature I like the most about the x5c-1 is it's ability to fly slow and stable for camera use and also gets quite zippy when camera, landing gear, and prop guards are removed. Love this quad! I love the fact because the X5C-1 is probably one of the most popular hobby quadcopter, parts and service are readily available. Not to mention, this quad flies like a dream! the stability of the quadcopter is amazing and the rest of the features are awesome too... good camera. I like the design, it's nice and looks like a more expensive dron :P and the way it flies, it looks so nice too! I love the camera and the looks of the X5C-1! Would be great to start flying multicopters with this one.. I can't wait to fly one of these! Looks Amazing!